Want to remotely lock your Windows 10 computer? Need to remotely sign out of your Windows 10 PC? In this guide, we will see how to remotely sign out and lock your Windows 10 PC. 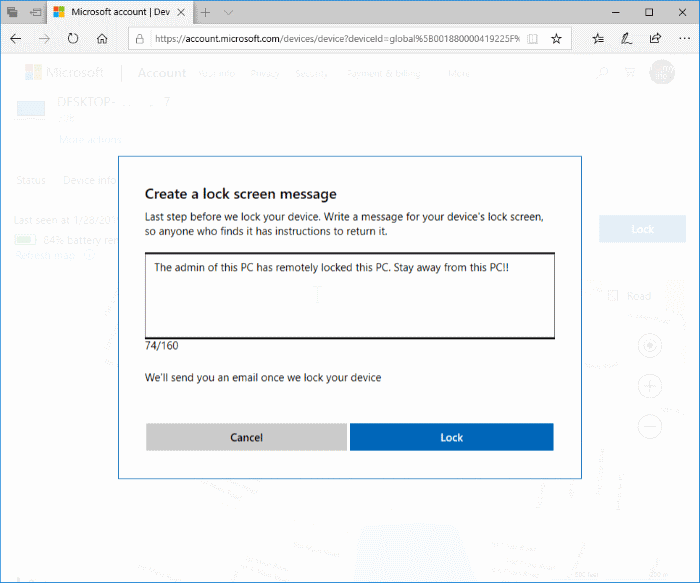 To remotely sign out and lock your Windows 10 PC, you don’t need to go for a third-party application or service. 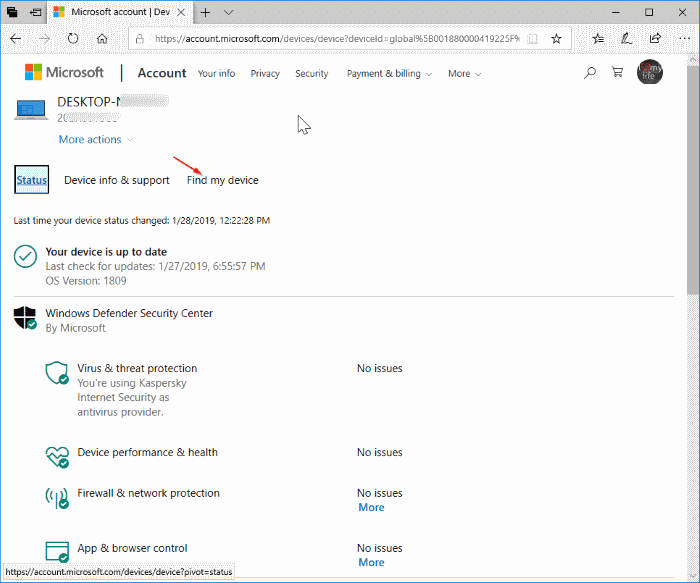 The built-in Find my device feature in Windows 10 enables you to remotely sign out and lock Windows 10 PC. The feature is helpful if you have forgotten to turn off your PC and you want to stop others at home or workplace from accessing your PC. 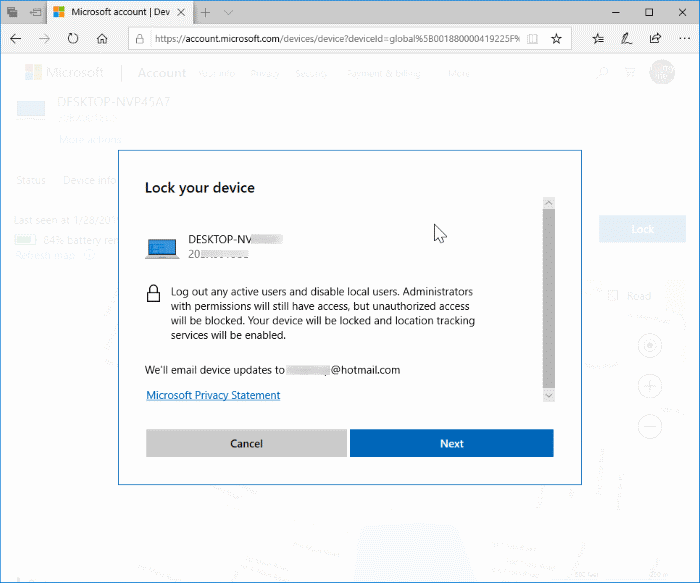 IMPORTANT: You will be able to remotely lock or sign out your PC only if you are using a Microsoft account to sign in and turned on Find my device feature in Windows 10. To sign in to the PC again (after the PC is remotely signed out and locked), one must enter the account password or other sign-in methods. Remember that one must sign in to the administrator account first by entering the password or any other sign in methods available. You cannot sign in to a local or non-admin account before signing in to the admin account. If you try, you will get “An administrator has restricted sign in. To sign in, make sure your device is connected to the internet, and have your administrator sign in” message. 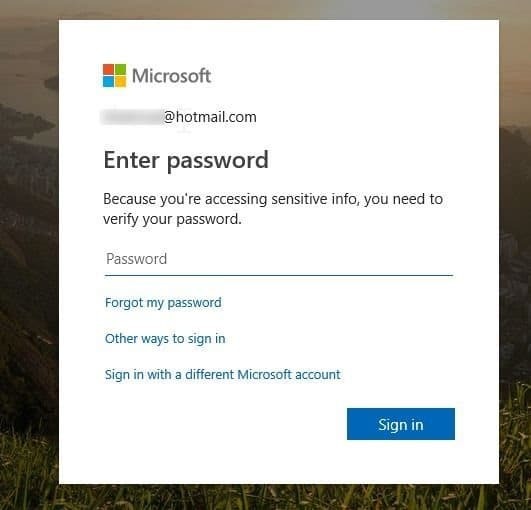 Complete the given below directions to remotely sign out and lock your Windows 10 computer. 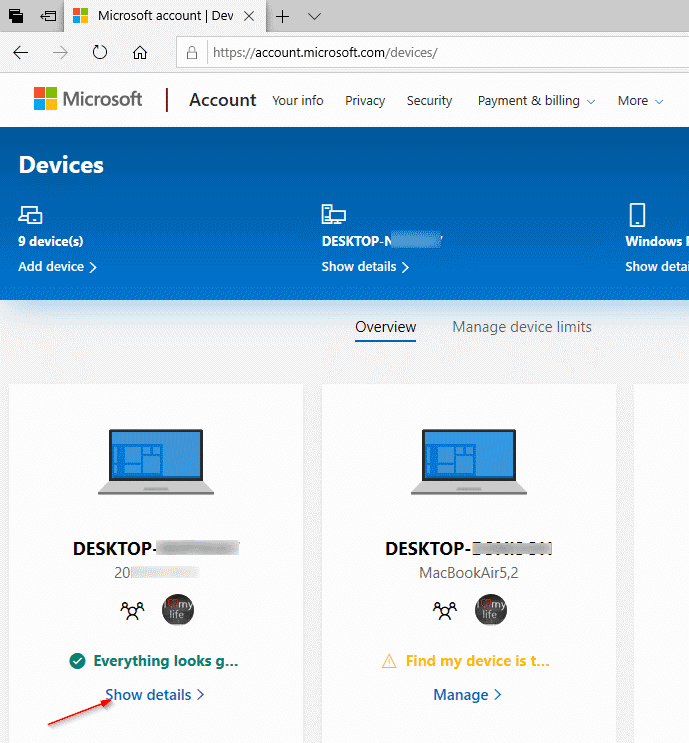 Step 1: On a computer or any other device, visit the account.microsoft.com\devices page. 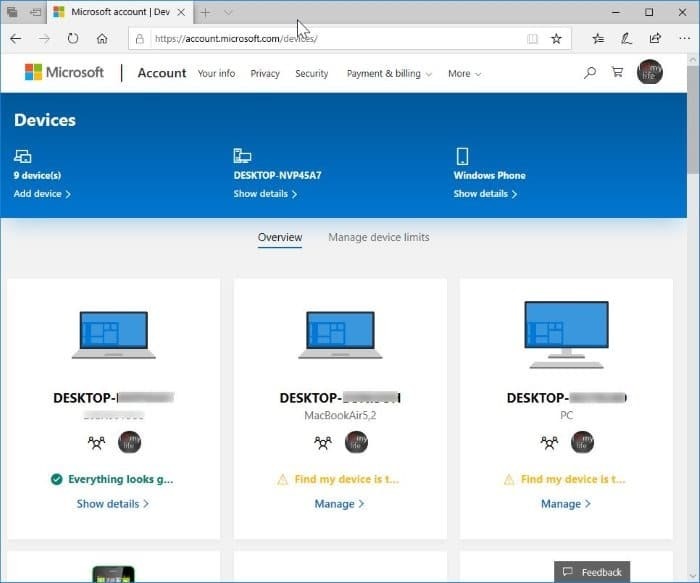 Step 2: Sign in by entering your Microsoft account details that you use to sign in to your Windows 10 PC. You will now be redirected to the Devices page. Step 3: On this page, your Windows 10 PC’s entry will show up. Please note that only PC’s where you are using a Microsoft account to sign in appear on this page. Step 4: Click on the Show details link that appears on your PC entry’s tile. Please note that the Show details link won’t appear if Find my device is turned off on that PC (as you can see in the picture above for other PCs). Step 5: Here, switch to the Find my device tab by clicking on the same. 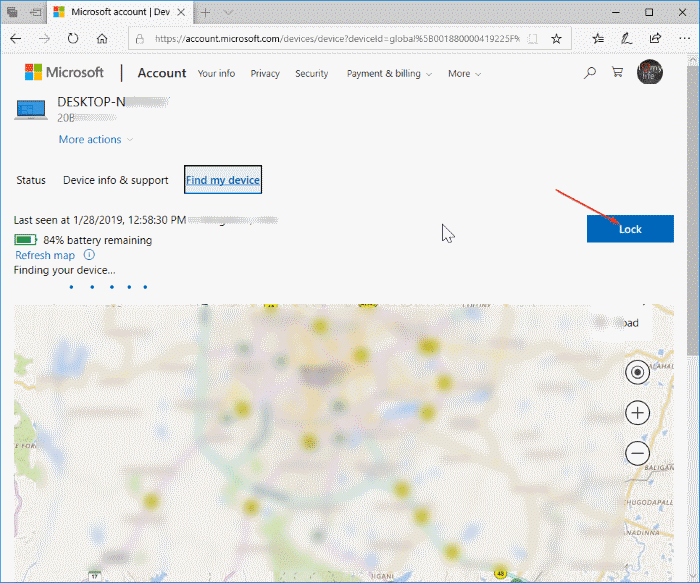 Step 6: The page now displays the current location of your Windows 10 PC along with its remaining battery information. To lock and sign out of the PC, click on the Lock button located upper right of the page. Step 7: When you get the following page, click on the Next button. Step 8: If you want to show a message on the lock screen after signing out of the PC, please type in the message. The maximum length of the message is 160 characters. The message will show up on the lock screen once the PC is locked. Finally, click on the Lock button to sign out and lock your selected Windows 10 PC. You will now see “Your device is now locked” message on the page. That’s it! We also suggest you change or reset Microsoft account password.